Q. How is XUV300 W6 variant? Q. How reliable is the engine as it is newly developed? How is the built quality? Q. Is this car good for travel? Q. Are the any new features that Mahindra is adding in this car? Q. Will this car perform well with its petrol version and what will be its service cost? Q. Is there rear Ac vent? We would suggest you to wait till its launch for whole feature list. Q. Does XUV 300 petrol engine is 4 cylinder? Q. Is xuv 300 rear wheel drive, is there any sub 4 meter SUV with rear wheel drive in India below 15 lakhs? Q. How many cylinders are there in XUV300? It is expected to get a 1.2 liter 3-cylinder turbo charged petrol engine and a 1.5 liter 4-cylinder diesel engine. The brand hasn't disclosed its ground clearance yet. We would suggest you to wait till its launch. 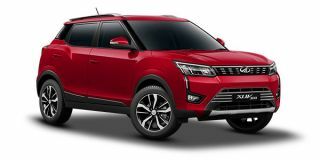 As of now, brand hasn't revealed the detailed information about the features for Mahindra XUV300. So, we would request you to wait for its launch. No, we don't expect it to get a 4WD or AWD system. Yes, It will get ABS as standard. Yes, it is likely to get a sunroof. Q. What is the price of Mahindra XUV300? Q. What is the mileage of Mahindra XUV300? Q. What are the specs and features of Mahindra XUV300? Q. What are the top competitors of Mahindra XUV300? Q. What are the top variants of Mahindra XUV300? Q. 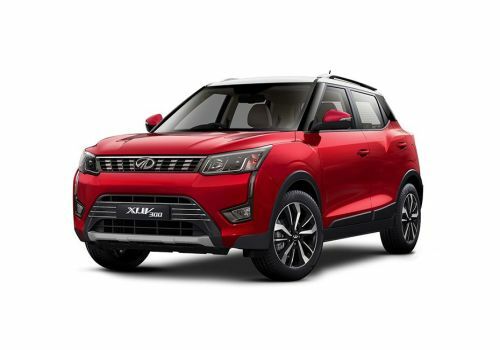 What is the EMI of Mahindra XUV300? Q. What are the colours available in Mahindra XUV300? Q. What are the diesel variants of Mahindra XUV300? Q. What are the petrol variants of Mahindra XUV300? Q. What is the top speed of Mahindra XUV300? Q. What is the fuel tank capacity of Mahindra XUV300? Q. What is the boot space of Mahindra XUV300?